Infinity Ward Exec: Success for Both Call of Duty and Battlefield is "Better for the Industry"
Modern Warfare 3's executive producer has described any Battlefield trash-talking as "silly publisher talk." On the surface, publishers EA and Activision don't seem to have been getting along terribly well of late. During the run up to the launch of both of their big FPS titles - Battlefield 3 and Call of Duty: Modern Warfare 3 respectively - both sides engaged in some degree of AAA schoolyard name-calling. Now that both games have launched, however, the executive producer behind the latter has made it clear that this apparent acrimony does not extend to the studios responsible for the games. "Much respect for everyone involved on the DICE side and I think they feel the same way with us. 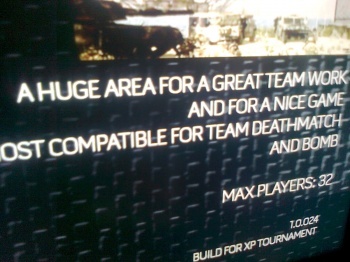 We're friends with them," said Infinity Ward exec and Modern Warfare 3 producer Mark Rubin to Eurogamer. "It's not what they portray on the EA side...honestly, it's the fans you want to listen to. They're gamers, they're going to play both games, both games are great." Rubin described the mud-slinging as "silly publisher talk" before elaborating on how he thinks success for one game doesn't necessarily mean loss for another. "When both games succeed it's better for the industry as a whole," he said. "It's not just us - we want the gaming industry to succeed because the better the gaming industry does the better we all do. We root for everybody." It's nice to hear expressions of professional respect in a world cluttered with loud taunts that sound more and more like bad attempts at marketing the more you hear them. As Rubin said, huge success is good for the industry as a whole; being divisive doesn't get us anywhere and despite which you prefer, both Battlefield 3 and Modern Warfare 3 look set to be great games. Doesn't it feel nice to be nice?